Representatives from Facebook, Twitter and Google are meeting the federal government to discuss proposed laws designed to crack down on social media platforms failing to promptly remove content such as the footage streamed from Christchurch. 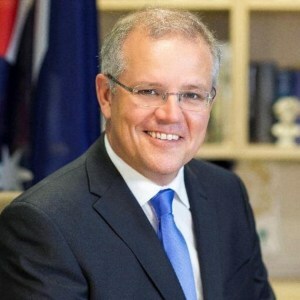 Prime Minister Scott Morrison announced the proposed laws in response to the ongoing backlash following the attack which killed 50 people. "We need to prevent social media platforms being weaponised with terror content," he says. The proposals include penalties of up to $10 million for corporates and personal liability for executives responsible, including imprisonment. Representatives from social media platforms Facebook, Google and Twitter are in a meeting today organised by the Department of Communications and the Arts. As part of the proposal, it would become a criminal offence for platforms to not remove offending content as soon as they are made aware of the changes. The government would also be able to label content as “abhorrent violent material”, which tech giants would have to take down quickly after being notified. The new laws would not only target the social media companies but also individuals working within the platforms. Morrison’s call for stricter rules laws comes after Facebook and Google, which owns YouTube, were criticised for leaving the shooter’s video of the attack online. Facebook reported that the video was viewed fewer than 200 times during the live-stream, during which no complaints were made by users to Facebook. In total the video was viewed about 4,000 times on the platform before being taken down, with the first report from users coming 29 minutes after the video started and 12 minutes after the live broadcast ended. Facebook and Twitter already have policies in place to take down problematic content, such as the Christchurch attack, with Facebook saying it removed around 1.5 million videos of the attack globally in the first 24 hours.